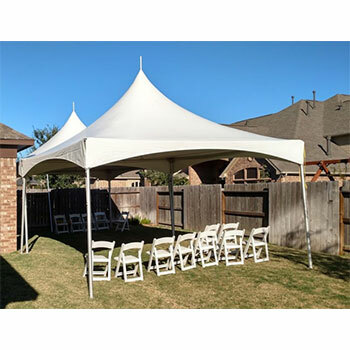 All canopy prices listed are for customer setup and breakdown. If you prefer to have us install it for you, we require a 1 week notice and see our fee schedule below for prices. 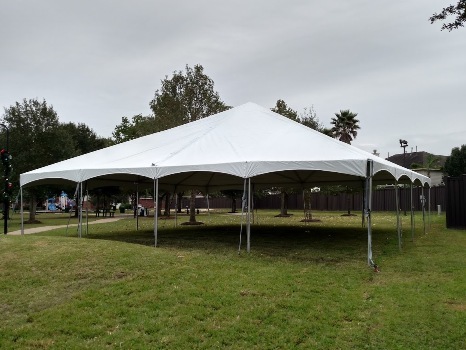 ALL frame and marquee tents must be installed by us and the price listed includes set up and breakdown. 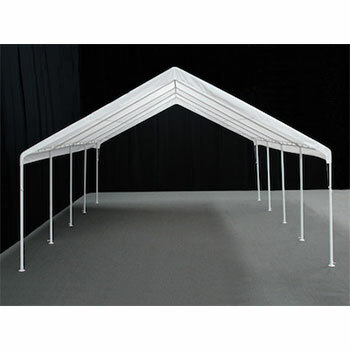 Canopy delivery includes door to door on ground floor with no stairs such as garage, front door, or driveway. Pre-arrangement and additional fees are required for deliveries and pickups after normal business hours or to remote or difficult locations (i.e. back yards, decks, stairs, etc). 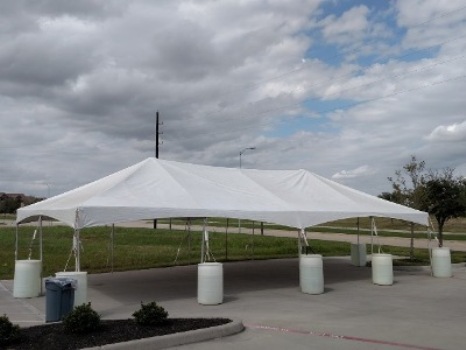 When choosing a site for your canopy, please pay attention to the entire space, including overhead, to make sure there are no power lines or tree branches hanging in the way. 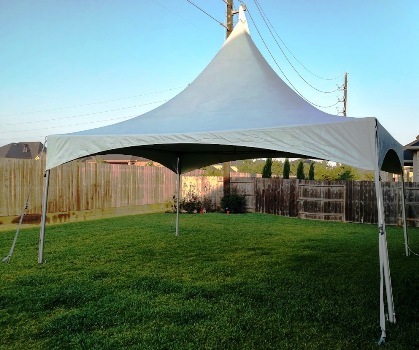 Tents and canopies require a minimum of 2 extra feet per side to setup and breakdown. 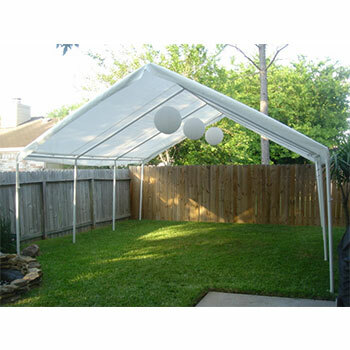 Canopies and tents are secured either by ground stakes, concrete weights, or water barrels. When using ground stakes, you must be sure that there are no underground sprinkler systems or anything else that could be damaged when anchoring into the ground. We are not responsible for any damage to underground structures. 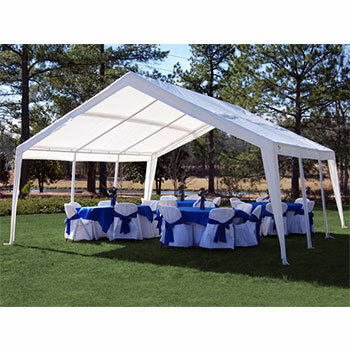 If you're unsure about underground pipes, you can secure the canopy with 80 lb. concrete weights for an additional $5.00 per weight. 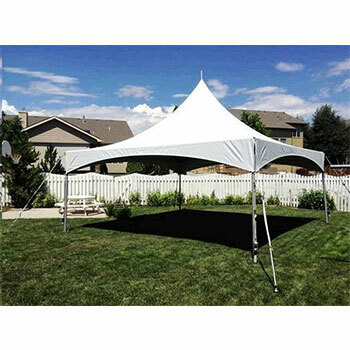 If renting our tents we only use heavy water barrels. Customer must call 811 dig for marking of underground utility cables, such as gas, electric, and telephone. Marking the location of water/sprinkler lines is the responsibility of the customer. 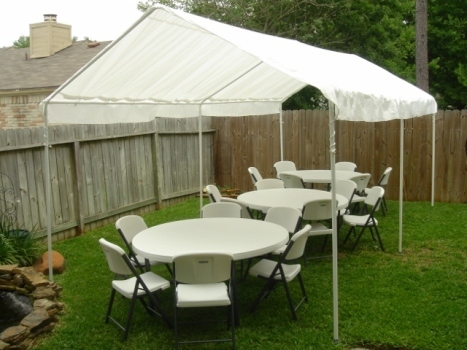 Island Breeze Party Rentals is not responsible for damage to sprinkler lines.